What’sup with Nuclear Fallout & Hot Particles in Your State? Heck, if 'they' paid YOU 300 billion dollars a year interest on the national debt ... like we pay 'them' ... (that $300 billion dollars is currently divided up among 300 Fed banking families, lackeys & apologists), then YOU would own everything ...it's really a no-brainer. WHATEVER ...increases the national debt & personal debt, YOU pay interest on to 'them' because 'they' own & lent the money & 'they' print it, & 'they' lend it to the U.S. to go to war & to you to buy a car or house or use a credit card (owned by 'them'). ...are you gettin' it? 'They', are the money-issuing class way above their ruling class lackeys, the 1%. 'They' are the 0.001 percent. Consequently, 'they' are liable for all the suffering caused to us by 'their' corporations, actions & intent & all the consequences of 'their' actions ...are you getting it? 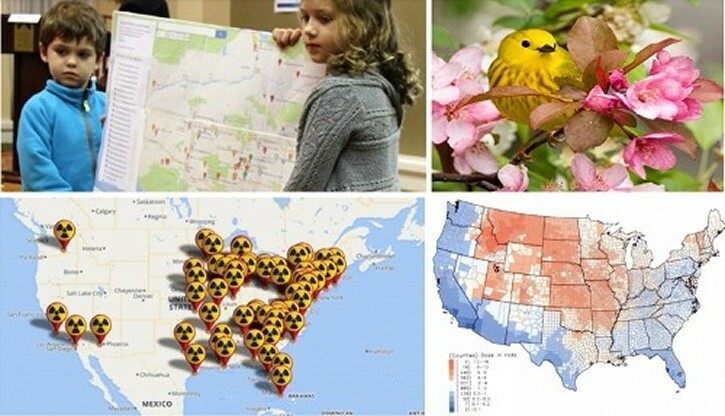 'They' will not warn you about nuclear pollution, fallout & hot particles in your State because 'their' profits from nuclear will fall when you shut 'them' down & when you sue 'them', 'they' will have to pay your health care costs & lawsuit settlement costs ...you should stop nuclear industry dead before 'they' stop you & march 'them' to the gallows. 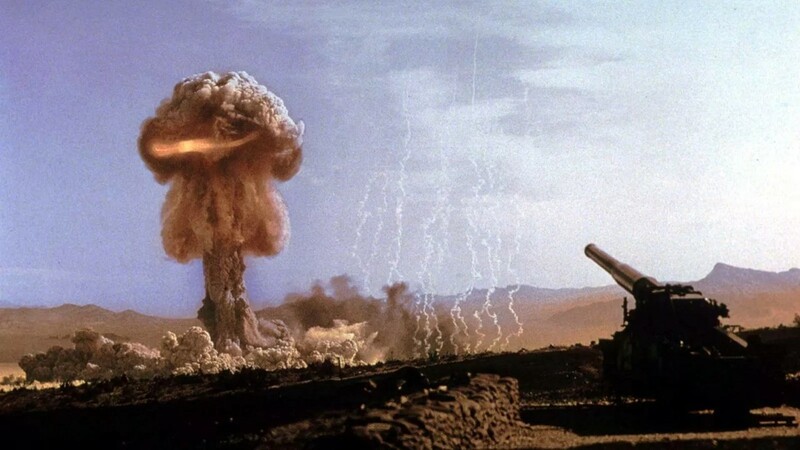 The first and only test of an atomic cannon at the Nevada Test Site. What could go wrong? When the U.S. entered the nuclear age, it did so recklessly. 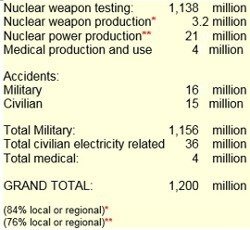 New research suggests that the hidden cost of developing nuclear weapons was far larger than previous estimates, with radioactive nuclear fallout responsible for 340,000 to 690,000 American deaths from 1951 to 1973. Five men at atomic ground zero: On July 19, 1957, five men stood at Ground Zero of an atomic test that was being conducted at the Nevada Test Site. This was the test of a 2KT (kiloton) MB-1 nuclear air-to-air rocket launched from an F-89 Scorpion interceptor. The nuclear missile detonated 10,000 ft above their heads. Emissions, however, did not stay at the test site and drifted in the atmosphere. Cancer rates spiked in nearby communities, and the U.S. government could no longer pretend that fallout was anything but a silent killer. Congress eventually paid more than $2 billion to residents of nearby areas that were particularly exposed to radiation, as well as uranium miners. But attempts to measure the full extent of the test nuclear fallout were very uncertain, since they relied on extrapolating effects from the hardest-hit communities to the national level. One national estimate found the testing caused 49,000 cancer deaths. Those measurements, however, did not capture the full range of effects over time and geography. Meyers created a broader picture by way of a macabre insight: When cows consumed radioactive fallout spread by atmospheric winds, their milk became a key channel to transmit radiation sickness to humans. Most milk production during this time was local, with cows eating at pasture and their milk being delivered to nearby communities, giving Meyers a way to trace radioactivity across the country. What’s more, these results were sustained over time. 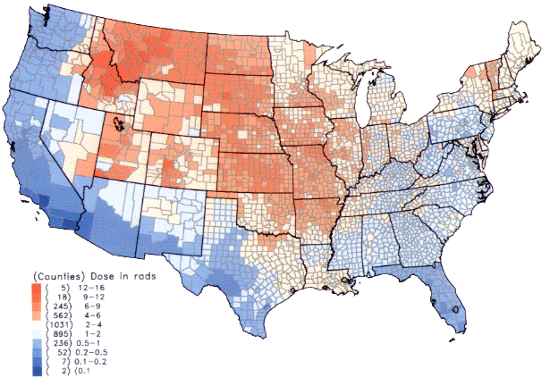 U.S. nuclear testing likely killed seven to 14 times more people than we had thought, mostly in the midwest and northeast [with nuclear fallout]. When the U.S. used nuclear weapons during World War II, bombing the Japanese cities of Hiroshima and Nagasaki, conservative estimates suggest 250,000 people died in immediate aftermath. Even those horrified by the bombing didn’t realize the U.S. would deploy similar weapons against its own people, accidentally, and on a comparable scale. 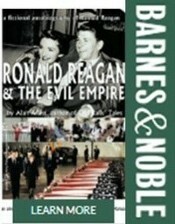 Those horrified by nuclear bombings in Hiroshima & Nagasaki didn’t realize the U.S. [Fed interest rate bankers financing (mortgaging) the U.S. military] would deploy nuclear weapons domestically against U.S. Citizens with similar high yield dosage & low dosage affects, nor that the entire U.S. food chain would be bathed in nuclear fallout lasting from a few seconds to hundreds of thousands of years. ...Opps. Cessation of nuclear testing helped save U.S. lives – ”the Partial Nuclear Test Ban Treaty might have saved between 11.7 and 24 million American lives,” Meyers estimates. There was some blind luck involved in reducing the number of poisoned people: The Nevada Test Site, compared to other potential testing facilities the U.S. government considered at the time, produced the lowest atmospheric dispersal. The lingering effects of the tests remain, silent and as troublesome as the isotopes, themselves. Millions of Americans who were exposed to fallout likely suffer illnesses related to these tests even today, as they retire and rely on the U.S. government to fund their health care. "This paper reveals there are more casualties of the Cold War than previously thought, but the extent to which society still bears the costs of the Cold War remains an open question,” Meyers concludes. Inside kill job: the rounds have a range of about 20 cells in all directions. The radioactive isotopes make a perfect killing machine. We are struck with the 850 rounds per minute per milligram ... throughout our lives ... a deadly reality from the pro-nukers ...(you all know one). Shun 'them'. Why should you use the reactor finder to see if you live within 25 miles of a nuclear reactor? ...because women & girls living within 25 miles of a normally operating nuclear reactor get more cancer than men or boys, or those living farther away. (l) Radioactive Cloud of Nuclear Fallout Over Europe From the Chernobyl Disaster; (r) Nuclear fallout ALERT as Russian Radioactive leak sweeps across Europe: A NUCLEAR disaster in Russia has sent a radioactive cloud across Europe, experts have warned. Nuclear radiation fears are also being caused by North Korea with their testing of the hydrogen bomb and missiles. Conceiving a child within 25 miles of a nuclear reactor facility can lower the I.Q. and mutate your child-to-be ... you have seen such children in the previous videos and pictures that were exposed to nuclear fallout radionuclides and hot particles at the meltdown in Chernobyl. Nuclear fallout radionuclides and not particles taking a toll in Japan because of Fukushima ... but doctors abort these horribly mutated children and tell the mother she miscarried, calling these abortions and miscarriages, 'unfortunate pregnancies'. 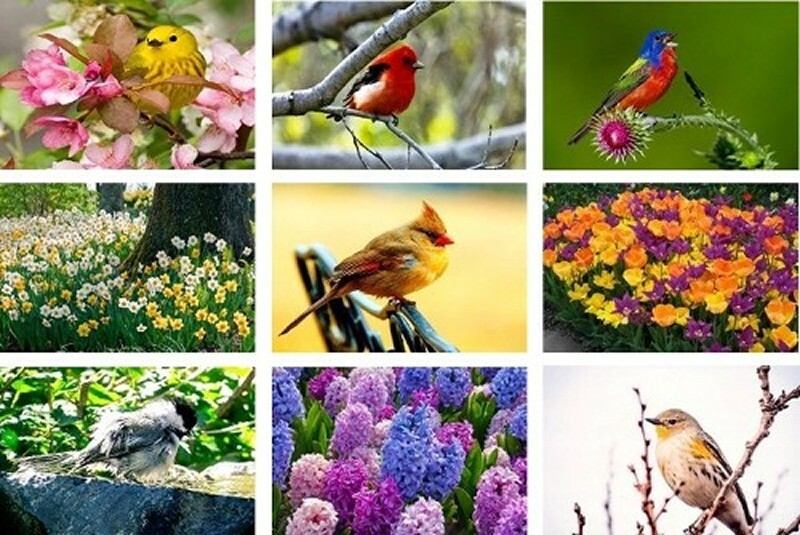 See these normal flowers and birds? Are they not beautiful? Yet birds that flew thru, perched or walked in nuclear fallout or hot spots die or fall from the sky, survivors' babies are born blind and cannot fly. 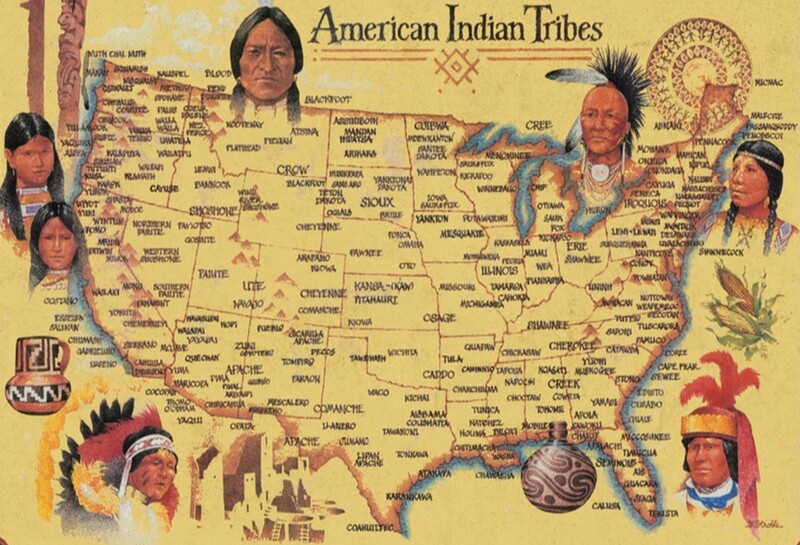 Indigenous Peoples Around The World Respect The Land & Mother Earth – Does The Fed? City of London? 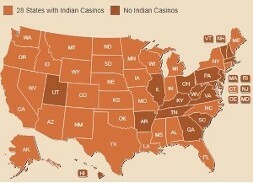 (l) Location of nuclear reactors (each also a dump); (m) Red areas covered with nuclear test radiation; (r) States with Indian Casinos. Part 3 – Radiation biologist Natalia Manzurova tells of her experience as a Chernobyl 'clean up liquidator' - translated by psychologist Tatiana Mukhamedyarova. ...someone else will fix it, right? No. You fix it otherwise why be an incarnate spirit on Earth, y'know? But, who's doing it here? 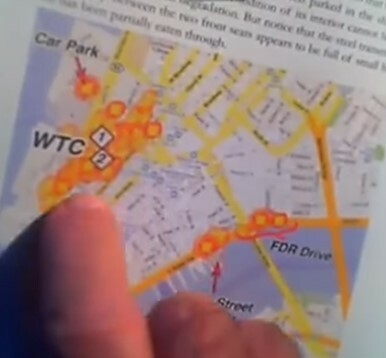 Note: On this map of WTC/911, the orange circles and squares are burned and melted cars. Why are some of the cars so far away? (Formatted & edited oral history transcript by Nuclear Weather Forecast, (interview starts on page 22: PDF, here) - or - (with search engine, footnotes, endnotes, charts & supplementary information - interview starts on page 22, here: MS Word). Tritium, a radioactive isotope and bi-product of nuclear power generation, is making headlines with notable leaks at 75% of all the reactors in the United States ...including Indian Point in New York, and Turkey Point in Florida, (Fairewinds video, here – transcription below video). Fairewinds interviews Dr. Ian Fairlie. Ian was formerly with United Kingdom’s Department for Environment, Food, and Rural Affairs specializing in radiation risks from nuclear power stations. From 2000 to 2004, headed the Secretariat to the UK Government’s CERRIE Committee examining radiation risk of internal emitters. Retiring from government service, he has consulted to the European Parliament. Formatted & edited oral history transcript by Nuclear Weather Forecast – (Fairlie interview begins on page 7); (PDF, here) - or - with MS Word search engine, footnotes, endnotes, charts & supplementary information, here). Proponents of nuclear power would have us believe that humankind is smart enough to store nuclear waste for a quarter of a million years, but at the same time humankind is so dumb that we can’t figure out how to store solar electricity overnight; (here). Fairewinds was one of the first organizations to talk about 'hot particles' scattered all over Japan and North America’s west coast. Hot particles are dangerous and difficult to detect. In this video, Mr. Kaltofen discusses the hottest hot particle he has ever found ...and, it was discovered more than 300 miles from the Fukushima Daiichi site. 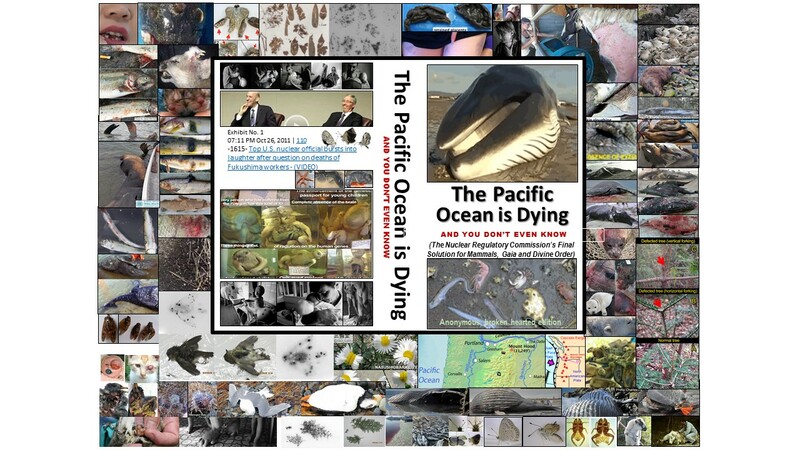 Arnie Gundersen provides a brief introduction and summary to the video, (here). (Formatted & edited oral history transcript by Nuclear Weather Forecast – included in unpublished manuscript along with additional several pages of introduction; Marco Kaltofen interview begins on page 3, (PDF, here) - or - (Marco Kaltofen interview begins on page 3, w/MS Word search engine, footnotes, endnotes, charts & supplementary information, here). CCTV host Margaret Harrington of Nuclear Free Future, interviews Fairewinds Chief Engineer Arnie Gundersen and Research Assistant Grayson Webb to discuss how the atomic power industry tries to sell the world a false narrative that the nuclear industry helps reduce Global CO2. Arnie and Grayson discuss Fairewinds 18-month research endeavor that found using atomic reactors would reduce CO2 emissions sustainable energy source only 6% by the year 2050 and cost more than $8.2 trillion dollars! Renewable and sustainable energy sources are cheaper and boost the U.S. economy by creating jobs in America; here, | scroll down for transcript). (Formatted & edited oral history transcript by Nuclear Weather Forecast; (PDF, here) - or - (MS Word w/search engine, footnotes, endnotes, charts & supplementary information, here). 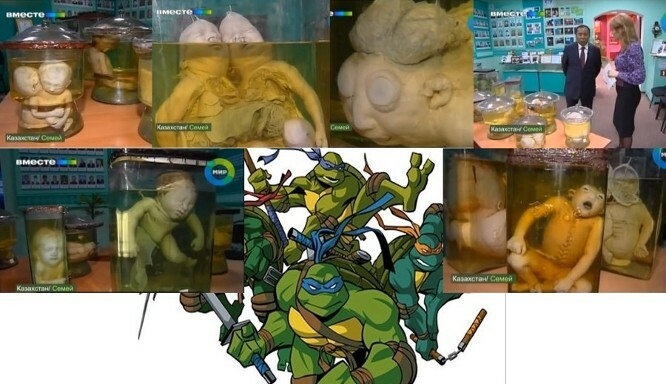 Will the real teenage ninja mutant turtles please stand up? 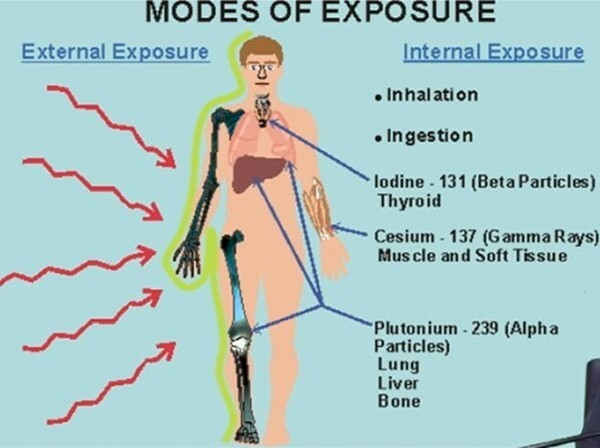 Manmade ionizing Alpha, Beta & Gamma radiation are attracted to & attack different human body parts. In Japan, every day the local government measures radioactivity. All television stations say while radiation is rising, it is not high enough to be a danger to health. They compare it to a stomach x-ray, or if it goes up, to a CT scan. What is the truth of the matter? 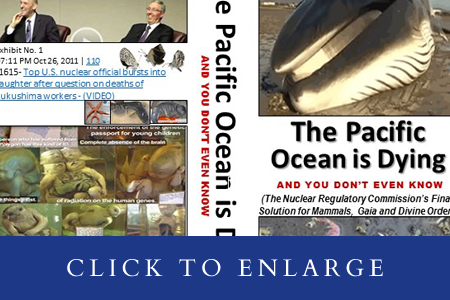 For the record, comparing ingested manmade radionuclides with X-rays and CT scans is nonsense …inhaling particles increase radiation exposure by a factor of a trillion; cellphone PDF here -or- MS Word w/pop-up endnotes & search engine, here.